Many parents choose to let their baby’s gender be a surprise to friends and family members, while other parents don’t even find out themselves. For baby showers with these parents, it’s essential to find beautiful baby shower favors that aren’t gender specific. Luckily, there are a lot of great options out there! 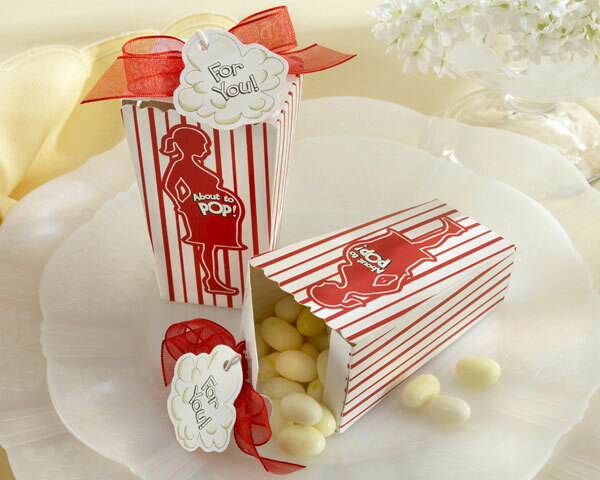 This adorable popcorn favor box is great for any theme and isn’t gender specific. You can fill it with your favorite treats, from chocolate-covered popcorn to jelly beans or something else. The boxes feature a silhouette of a mom that’s about to pop, and they’re available in sets of 24. 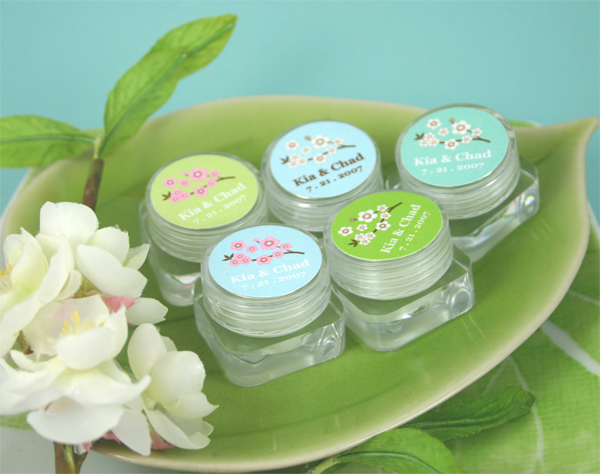 This fun cherry blossom lip balm features a vanilla flavored lip balm inside a cute little container, boasting a personalized sticker for each lid featuring beautiful cherry blossoms. Put your name and your baby shower date and guests will cherish this cute little gift. You can choose the label color and 2 lines of text. 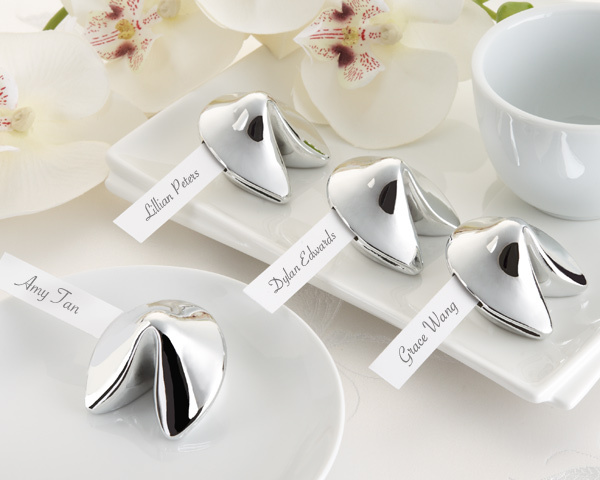 Celebrate your good fortune with this beautiful silver-toned fortune cookie that works well for any type of theme. You can use it as a place card holder (using strips of printed paper) for larger baby showers and guests can use it at home as a beautiful décor element in addition to a memento of your special day. There are many other baby shower favor ideas you can use that aren’t gender specific, but this is a great start if you’re looking for beautiful and fun favors. This entry was posted in Affordable Baby Favors, Personalized Baby Favors, Practical Baby Favors and tagged unisex baby favors. Bookmark the permalink.